'THE CHEETAH AND THE JACKALS' These three Black backed Jackals were harassing the Cheetah, and were trying to make it hunt in order to scrounge a free meal. They persistently followed the cat and ironically ruined any potential opportunities for a meal by making their presence noticed by the impala that were grazing nearby. 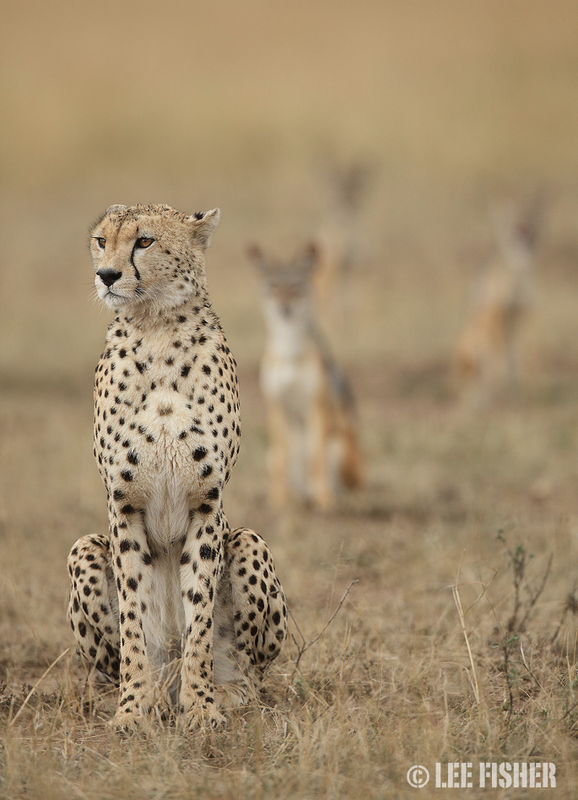 All three momentarily lined up behind the Cheetah allowing for this shot.